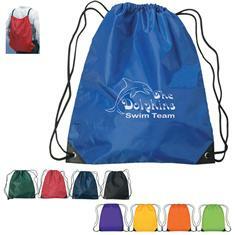 This large Sports Pack drawcord comes in your choice of 9 material colors. It is made of 210 Denier Nylon fabric with reinforced grommets in the bottom corners. This is a very popular promotion for Schools and Sports related events!